England has Bubble and Squeak, Ireland Colcannon and in Scotland, the delicious fry-up of vegetables is called Rumbledethumps. The name is so delightful and intriguing and just where it comes from, who knows? The dish is popular in the Scottish border regions and you will not find it all over Scotland, but when you do enjoy as well as enjoying making it at home. For this Rumbledethumps recipe, you can use leftover mashed potato and swede (turnip in Scotland and also known as tatties and neeps) if you have some or cook from fresh. The beauty of the dish is it can be made the day before and heated up then all it needs alongside is a hearty stew, or if you prefer to eat it on its own, try​ it with a fried egg on top. Place the mashed potato and swede into a large mixing bowl and put to one side. Melt 2 oz/ 50g of the butter in a frying pan, add the finely sliced cabbage or kale and cook gently for minutes until softened but not brown. Add the cabbage or kale to the bowl of potato and swede, add the remaining butter and mash together thoroughly. Season with salt and pepper to taste. Potato can soak up salt, so be generous with it to add a good flavor. 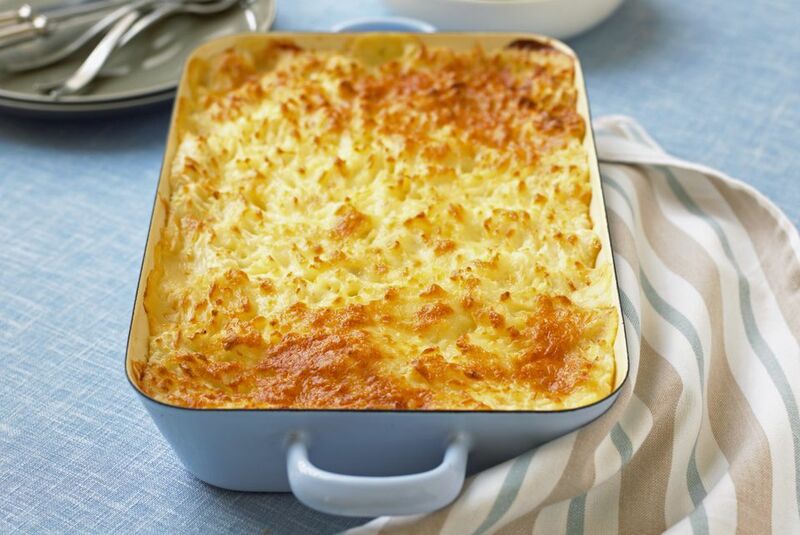 Place the mashed vegetables in an ovenproof baking dish, sprinkle the cheese on top, cover with a lid or aluminum foil and bake in the oven for about 30 minutes or until heated right through. Remove the lid and cook for a further 5 mins or until golden brown and if possible a little crispy on the top. Serve piping hot as a side dish with a casserole, pie or any hearty foods. Rumbledethumps is also good as a dish on its own and can be enjoyed by vegetarians and meat eaters alike. The beauty of this dish is that you do not have to worry about the quantities. If you are using leftovers, then what you have will dictate the recipe. Everyone has their own version. This Rumbledethumps recipe is based on a classic recipe from Sue Lawrence, one of Scotland's most famous cooks and food writers. Sue's recipe is a classic and works every time.